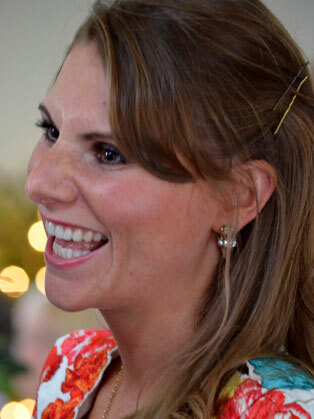 Stephanie is recognised as one of the UK’s leading voices in the psychology of happiness, humour and laughter. In the past 15 years she has worked on innovative projects and events in the private and public sector. Her wide sector knowledge and consulting experience on all levels means she’s in high demand. She is passionate that development in organisations at any level is about people, skill sets and engagement. Her belief is that this drives performance and an approach to development that is sustainable and flexible with continued ROI. Her qualifications include an M.A in The psychology of humour and laughter for personal growth and she is a Graduate of The Health Care Intensive Programme run by Patch Adams MD in the USA and a graduate of Dr Madan Kataria’s Laughter Techniques Programme. She is qualified in cognitive behavioural psychology and health psychology and has a great knowledge of neuroscience. Stephanie’s background as an award-winning comedian as well as her success in business makes her a brilliantly entertaining and enlightening speaker for conference audiences in any profession. As a businesswoman and entrepreneur Stephanie has developed the Laughology vision, forged relationships with some of the world’s top blue chip companies and created a successful brand. On top of her busy schedule she contributes to popular television programmes, such as Trisha, The Bank of Mum and Dad, BBC’s Heaven & Earth and ITV’s Stand-up Jenny, is also a regular on BBC Radio and a best-selling author. At night Stephanie frequents bars as a stand-up comedian.